It’s a new service set up to provide a simple, fast, accurate, and secure way of allocating payments to debtor accounts. Our users are employers who make deductions from the earnings of debtors issued with a Direct Earnings Attachment (DEA), and internal DWP Debt Management staff tasked with reconciling payments received with individual debt accounts. The core team consists of Tracy Drabble as Product Owner working alongside two Business Analysts – Louise Reilly and Stephen Morley. A user researcher Euan Gillespie, is also part of the core team along with Vimla Appadoo, a Service Designer. 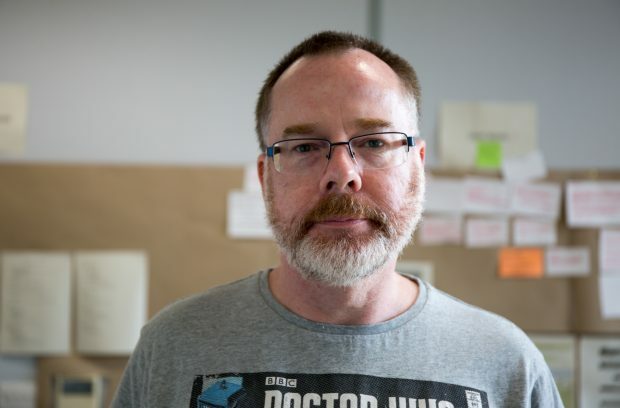 Wider support comes from a Technical Architect, Mark Charlton, who is providing an early view on possible solutions that might meet emerging user needs. Our aim is to build a service around user needs that reduces the amount of money DWP cannot immediately allocate, increases process efficiency, and reduces avoidable contact with employers and debtors. We want to see how we can change things so we improve the experience of everyone involved. 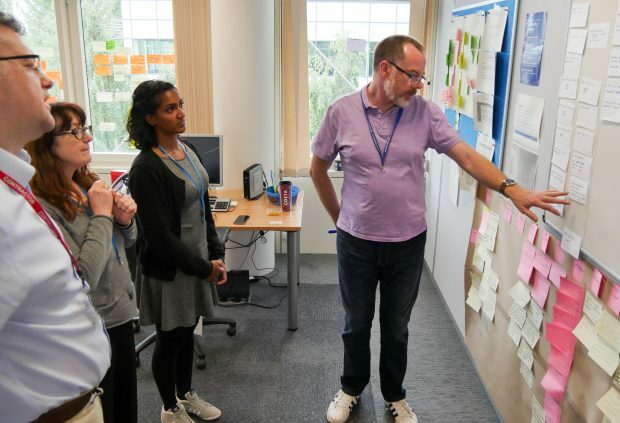 We’re currently in discovery and over the next few months we’ll be writing a series of blogs about each stage of our journey to give a real insight into what it’s like to take a digital service from discovery to the stage where we hopefully go live. What’s the user need for the service? Currently, DWP asks employers to apply a Direct Earnings Attachment (DEA) to an individual’s salary in order to recover a debt (this could be an overpayment of a Social Security benefit or to repay a Social Fund Crisis Loan. DWP would only apply a DEA if they haven’t been able to agree a repayment plan with the debtor). Employers send payments via BACs or cheque to DWP Debt Management for them to reconcile the payment against the debtor’s account. 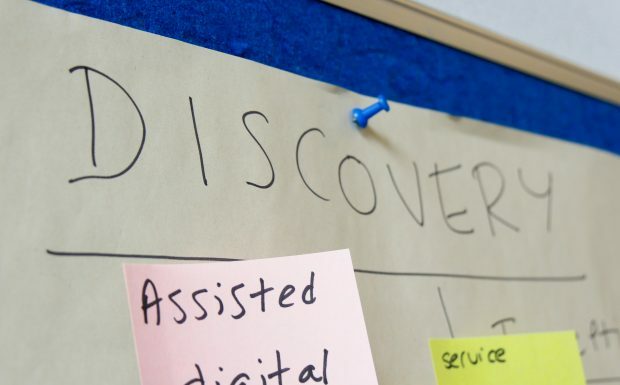 Our Discovery Phase aims to explore how this process might be improved for employers and DWP. What have we done in Discovery? Discovery is all about user needs. So apart from setting the team up, the first thing we did was talk to employers and payroll providers to understand how requests to recover debt impacts them. We’re still at quite an early stage of employer user research and need to talk to more so we can identify and validate user needs. We have also talked to Debt Management colleagues to understand and map the current journey and their experience. We’ve held focus groups and held one-to- one discussions. We’re talking to them regularly to understand if any particular part of the user journey is more problematic than others – for example: are there areas which if improved, make a bigger overall difference? These on-going discussions will inform the user needs for the project and help us to identify priorities and where to focus effort. Starting from scratch can be both good and bad at times. It can sometimes feel daunting for teams to grasp the sheer scale of what is involved in a project and wonder where to start. But it also provides an opportunity to build a new team and use people’s skills and expertise to make sure the project is focused on the right things. Having a common understanding of the problem to be addressed and working collaboratively are key to successful delivery. The range of users is vast and feedback from employers and payroll providers is challenging some of the internal perceptions about how to improve the process. An alpha phase is planned to start in autumn 2017. We’ll blog again when we’ve moved into alpha to let you know how it’s going. Great blog Bryan and an excellent explanation of the business problem at the core of your discovery. Good luck!